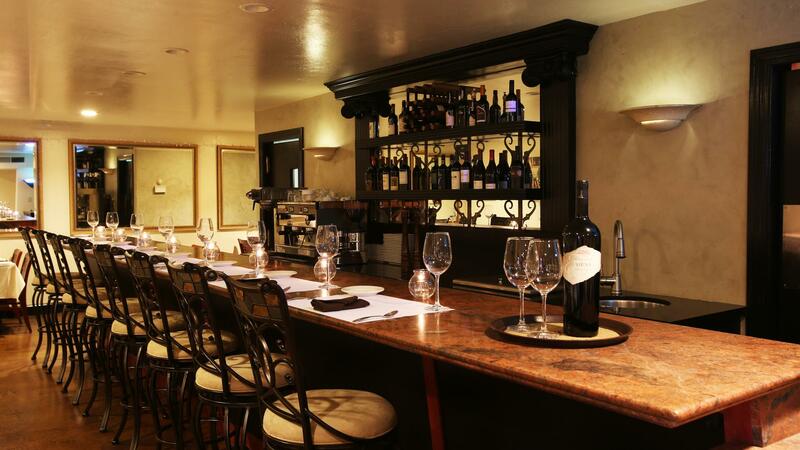 Rent Siena Bistro | Corporate Events | Wedding Locations, Event Spaces and Party Venues. Siena Bistro is where patrons can unwind and interact on the charming patio for al fresco dining, attracting couples of all ages, as well as larger groups for birthday parties, baby showers, school graduations and other special occasions. Enjoy the lovely patio for al fresco dining. Due to the location, Siena bistro is a "secret" to some people, but those who find it say it's like stepping into another world. A wide selection of salads, and pastas are offered with delicate, yet mouth watering flavors. Our friendly staff will help you decide between house favorites such as our fresh salmon, sole almandine or beef bourguignon. Well researched California and Mediterranean wines, are the perfect accompaniment to any meal. Brioche Bread Pudding, Lemoncello Tiramisu or any of our house-made desserts would be a perfect ending to your dining experience.